25 Boutiques Under 1 Roof Saturday! We must be dreaming. 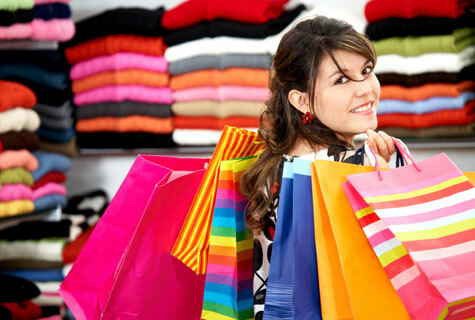 Hassle free holiday shopping, affordable prices, and OC’s best boutiques under one roof? That’s what Boutiquing.com is giving you with “Everything Under $80” shopping event Saturday from 10 a.m. to 6 p.m. at The Village in Irvine. Men’s, women’s and children’s boutiques will offer apparel, jewelry, accessories, home furnishings, gifts and more at affordable prices! And it will happen rain or shine with a DJ, food, fitting rooms, giveaways and swag bags for the first 80 guests. Shop from 25 local boutiques including Scout 3, Tres Chic, 5 Seas, Patina, Carmen Parks, Macalistaire at 1850, Hannah Bean, Ladonna, Glitter Girl, Amelie, Dali Boutique, Bohemia, Tattle Tailes, The Passionate Collector, Shop Moderne, Hollywood Million Denim, Lucky Leona, Liz Larios, Moda Viajando, Plum Pretty Sugar, Dove Chocolate, Anything Canine, Petit Plum and Foot Petals. The Village is at 21 Prism in Irvine. Tis the season to be at OC parks! Warm your holiday spirit by candlelight, visit Mr. and Mrs. Claus, enjoy seasonal live music, and partake in a full calendar of festive family activities. At Heritage Hill Historical Park the annual holiday Candlelight Tour is back from 5:30 to 8:30 p.m. Saturday and Sunday with 1,000 lights illuminating the park grounds. Seasonal entertainment abounds with holiday carolers, local musicians, storytellers, and flamenco dancers performing throughout the evening. Visit Santa and enjoy warm cider, cocoa and homemade confections. Next Saturday Dec. 19 from 10 a.m. to 3 p.m. offers a day of Christmas fun at the Orange County Zoo! Watch the animals discover holiday treats inside Christmas trees, visit Santa, read stories with Mrs. Claus, and partake in seasonal crafts and face painting. Heritage Hill Historical Park is at 25151 Serrano Road, Lake Forest. Cost $4 adults, $3 kids ages 3-12. 949.923.2230 or 949.461.3450. Orange County Zoo is at 1 Irvine Park Road, Orange. Zoo admission $2 per person. Ages 2 and under free. Parking: $5 per vehicle. 714.973.6847.